SPECIAL ACTION: EVERY DONATION DOUBLED THE NEXT 10 DAYS!!! With your support, we were already able to enable 200 refugees to become students. We want to send a HUGE THANKS to all of you! You cannot imagine what your support means to our students. Since we got closer and closer in touch with our first students throughout the last weeks, it was just incredible to see what we are doing this for. The first study groups already organized themselves without us even knowing about it and we get tons of feedback every day that we use to improve the student experience. With your support, we are giving humans back their hope, dignity and a worthy life. 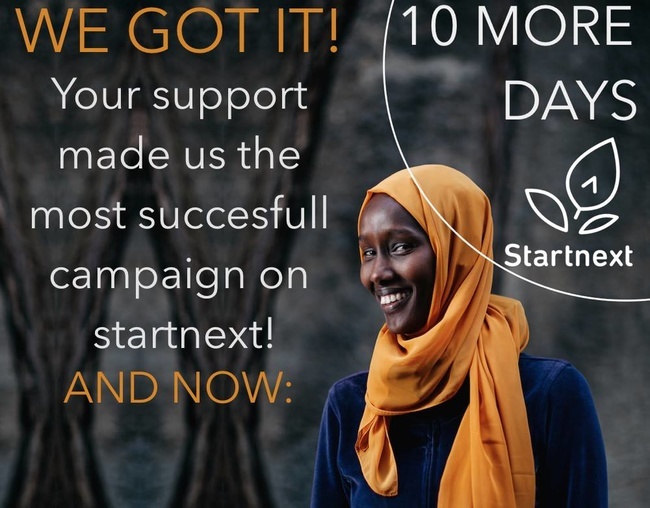 Your messages and comments also motivated us so much, that we decided to start a SPECIAL ACTION: For the next 10 days, every donation will be doubled by an anonymous supporter. Additionally: From tonight on for the next 10 days, there will be a huge and very special poster at U5 Alexanderplatz in Berlin that says everything Kiron is about. We don´t want to reveal the whole mystery yet, but a video will follow soon. Go and check it out! During the same time and sooner than expected, we will also start our buddy-program. So stay tuned on updates and personal messages for that! We would also like to show the faces behind our supporters. If you are interested in getting involved in that, please get in touch with us! Those really are GREAT NEWS for all of US! We grow bigger and bigger and soon we will be able to empower every refugee who is interested in taking their education to a higher Level. We cannot put in words, how proud we are. YOUR DONATIONS MADE IT POSSIBLE. You are awesome and the journey continues!